Wouldn’t it be great if there was a cheap but safe chemical you can just spritz around your home and all of a sudden all those annoying bed bugs would just drop dead and never invade your home again? I often wished for that solution during that nightmarish period when I had bed bugs. And, if you’re in the same situation I was in, then you probably also long for a relatively inexpensive bed bugs spray that will ensure that you no longer have to worry about or be bitten by bed bugs. So, will a magical bed bugs spray end all of my bed bug problems? Let’s be honest – there are a ton of bed bugs sprays on the market (none of which I make, by the way), and many of them just don’t work. In fact, in my opinion, relying on a bed bugs spray alone is a sure way to keep at least a few bed bugs alive around your home. What you should really do is use a spray in conjunction with other extermination methods, such as the Vapamore Dry Steamer and/or Diatomaceous Earth. 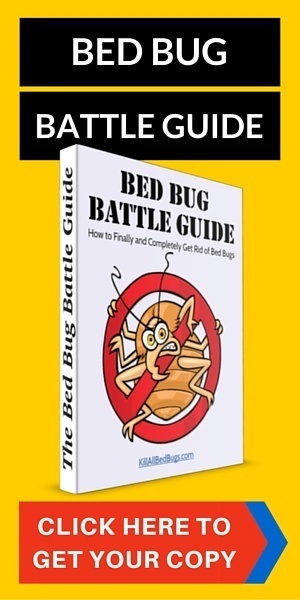 (Keep on reading for the last section of this post or check out my post on how to get rid of bed bugs if you want to learn more about methods of killing bed bugs other than using a bed bugs spray). So, bottom line is yes a bed bugs spray may be able to kill bed bugs, but no, a bed bugs spray by itself is unlikely to put an end to any sizable bed bug infestation. It’s tough choosing a bed bugs spray as none of them are that amazing. The main difference between the bed bugs sprays appears to be the ingredients used in them. Some sprays use natural ingredients such as essential oils (like rosemary, citronella, and other similar essential oils). These bed bugs sprays are often labeled as “green” and safe to use around the house. Other bed bugs sprays contain more chemicals that are labeled as pesticides. These chemicals are often not naturally occurring in nature and are hence often considered more dangerous by the public. In general, the bed bugs sprays with more chemicals in it are more effective at killing bed bugs (in fact, DDT nearly eradicated bed bugs before its use was banned). However, in the end, none of the bed bugs sprays are that effective. So, your decision will mostly depend on how natural the chemicals are and how safe for your family and pets you want the bed bugs spray to be. 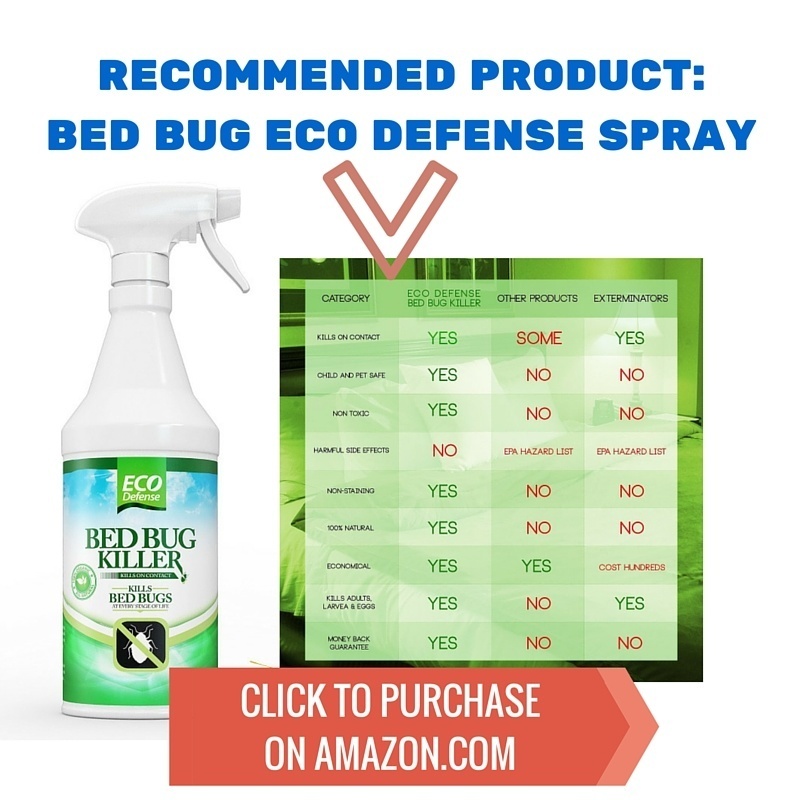 We currently recommend the Eco Defense bed bugs spray made from all-natural ingredients. Reviews of this product suggest it’s relatively effective at killing bed bugs still. We used to recommend the Bed Bug Bully spray. However, recent reviews suggest that people are finding Bed Bug Bully to not kill bed bugs. In general – and you could probably guess this – “natural” products are not as effective as synthetic pesticides. In fact, if a product does not contain any pesticides, then the manufacturer is not required to prove to the Environmental Protection Agency (EPA) that such products are at all effective at killing or preventing bed bugs. All of that said, I completely understand the desire not to be spraying random chemicals around one’s children and pets, or even one’s self. So, while it’s tempting to try the Eco Defense Bed Bugs Spray, the truth is that it doesn’t work as well as something like Steri-Fab. Steri-Fab has a small quantity of the common pesticide, d-phenothrin, which is often used to kill fleas and ticks. In general, this type of pesticide is fairly effective at killing bed bugs, although I’ve found that with any spray, I need to spray several times over a period of days or weeks for it to be effective. As a side note, although this spray is still my favorite, there are reports that this sort of pesticide is becoming slightly less effective, as many bed bugs are developing resistance to the d-phenothrin (as well as many other pesticides). In addition, be extra careful if you have cats, since several other products containing phenothrin had their EPA permissions revoked at the voluntary request of the manufacturer after numerous cats and kittens died from such products. However, if you don’t have cats in your home, you might consider hopping over to Amazon to buy a bottle of Steri Fab. We also have a more thorough review of Steri Fab here. Some essential oils (like citronella, mint, cloves, and rosemary). These are the active ingredients in many of the all-natural bed bugs sprays. Some rubbing alcohol (isopropyl). This is one of the active ingredients in Steri-Fab. We also often recommend rubbing alcohol as an effective method of killing bed bugs (e.g., by putting rubbing alcohol into a spray bottle and spraying infected areas, or else using it to wipe down a suitcase after you’ve gotten back from traveling). You can mix these ingredients together and put them into a simple spray bottle, and voila, you’ll have created your own bed bugs spray. This spray is likely only to be effective when sprayed directly at live bed bugs, so again, please do not rely on this method to kill all the bed bugs in your home. Most of the bed bugs spray products on the market contain pesticides rather than just all-natural ingredients. 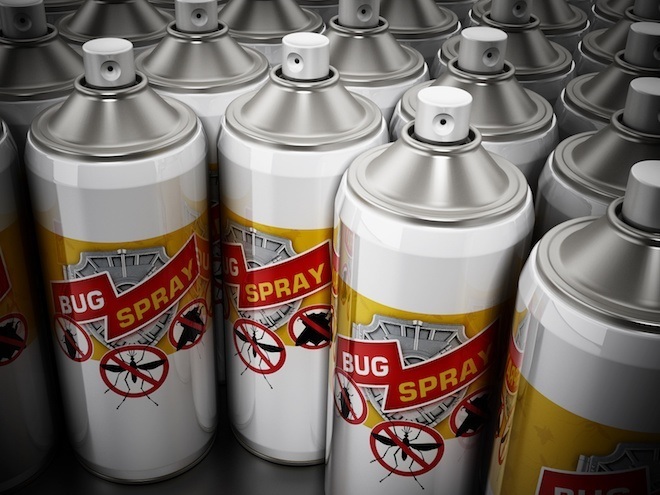 These sprays in particular should be used with caution, especially around children and pets. We definitely suggest putting on gloves (and a respirator if you have one). Keep your pets and kids away and make sure nothing disturbs the spray before it dries. And of course, don’t do anything like drink the bed bugs spray, plus always wash your hands carefully after handling chemicals. As I explained earlier in this post, bed bugs sprays should be used in conjunction with other bed bug elimination methods that’s part of a comprehensive treatment plan. In particular, a dry steamer such as this one shown below should be used to dry steam your entire home. This will ensure that many bed bugs are killed by the high heat from the dry steamer. 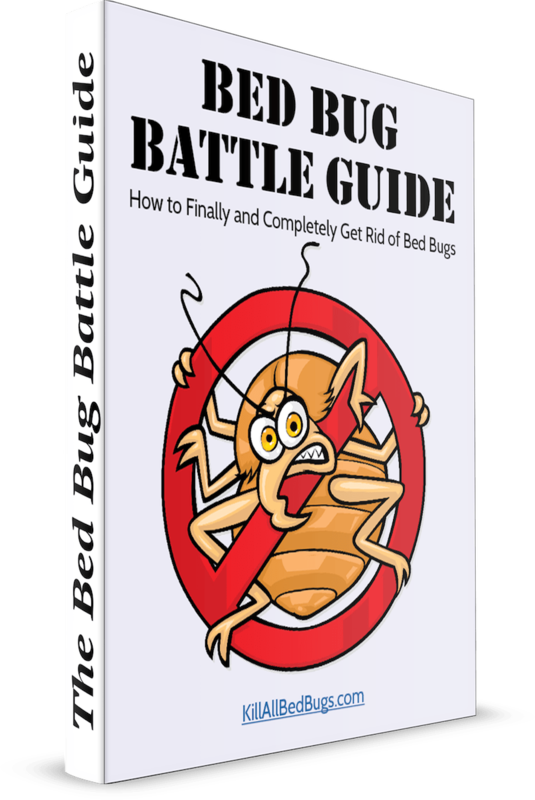 This method is a highly important step in any bed bug elimination plan because it is one of the few methods that is able to kill bed bug eggs as well as live bed bugs. Therefore, make sure you get a dry steamer that will reach high temperatures so you can prevent new bedbugs from being born. We highly recommend you use the dry steamer throughout your house before applying any chemicals as the heat from the dry steamer can vaporize any bed bugs sprays you sprayed in your home. Another method that we highly recommend is using diatomaceous earth. This is a cheap white dust that can be scattered throughout your home to kill stray bed bugs that you missed using the dry steamer. Bed bugs are killed by dehydration when they walk across the dust. For items like your mattress and sofa, a bed bugs spray may be used after dry steaming it so that new bed bugs that walk across that part will hopefully be killed by the spray. We also recommend regular vacuuming, washing of clothes and bed sheets, and the usage of a mattress encasement as simple but effective bed bug preventative measures. c) My living space is approximately 136 square feet and I share it with my cat. We, the administration and I, have been trying to figure out if the cat was/is also being bitten – she doesn’t scratch, doesn’t seem to itch, I groom her 2 times a day and have seen nothing, nothing on her bed (movements and/or bedbugs). b) Would a rubbing alcohol spray work if I rubbed it into her fur? Please advise. I fear that if I can’t show that my area and my cat are bedbug-free, I’ll be asked to get rid of her in one fashion or another. Thus, if I can’t/don’t/won’t, they’ll ask me to leave. That scares me because this is the first stable home I’ve ever had and my cat is my only companion. I apologize, but I’m not an expert in what would be safe for your cat. (In other words, I don’t know if applying ground silica gel or rubbing alcohol would be safe for a cat). My best advice is that bed bugs don’t typically LIVE on animals, although they certainly can bite them and be carried on them. If you’re treating the living area properly and you wash your cat a couple times per week during the treatment, then that should eventually take care of the problem.